Aged 4 ½ months, Chanty is our little « Blondy ». 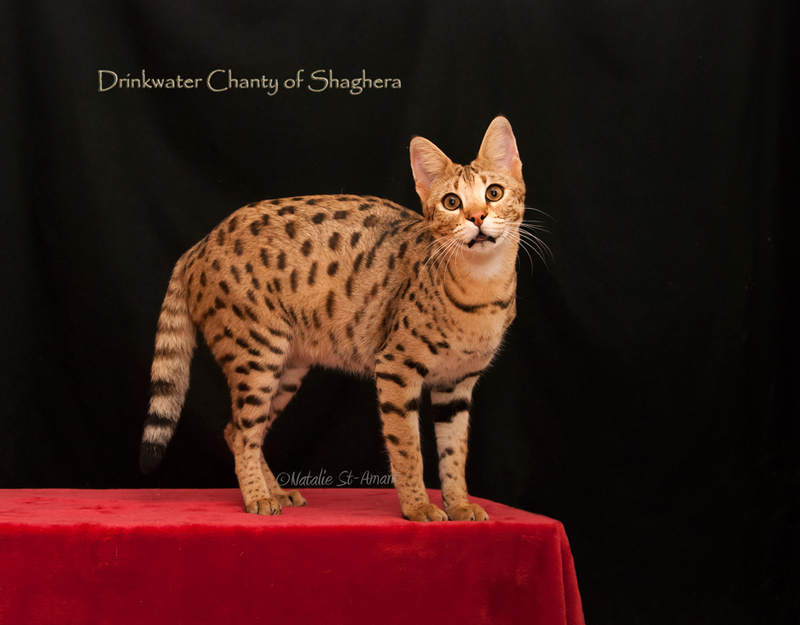 Of a very rare color in Savannah which reminds us the African Serval, she comes from a serval dad and a F4 Savannah mom. This girl has character! She’s the boss! Enya, our oldest F1 Savannah, waits to eat until Chanty has finished. Chanty loves water. She plunges her long legs under the water and jumps on me when I’m in the bath! She leaves all wet and it does not cause her any problems! She is more slender than Enya and I believe she will be bigger also. We follow their development closely, completely fascinated by how fast they grow!